An experienced surface warfare officer will lead the U.S. Navy’s investigation into the collision of USS Fitzgerald (DDG-62) and a merchant ship, according to an announcement released on Friday by U.S. 7th Fleet. Rear Adm. Brian Fort, formerly the commander of USS Gonzalez (DDG-66) and Destroyer Squadron 26, will head up the Navy’s Manual of the Judge Advocate General (JAGMAN) into the circumstances of the June 17, 2017, collision between the guided-missile destroyer and the Philippine-flagged container ship ACX Crystal, according to the news release. His job will be to guide the investigators that are collecting data from the ship, interviewing the crew and evaluating countless other details, in an effort to create the Navy’s case to determine blame for the incident in which seven sailors were killed. Last week, U.S. 7th Fleet commander Vice Adm. Joseph Aucoin promised a flag-led investigation into the collision that occurred off the coast of Japan. While there are several ongoing investigations by U.S. Navy, U.S. Coast Guard, Japanese authorities and insurance companies into the collision, the JAGMAN will be one of the few that will be available for public scrutiny. A parallel U.S. Navy safety investigation will likely not be released to the public. “The purpose of a JAGMAN investigation is to discover facts pertaining to an occurrence, such as an aviation, ground or maritime mishap, in order to identify failures in doctrine, organization, training, materiel, leadership, [standard operating procedures], etc. and also to assist in affixing blame and accountability,” Rob “Butch” Bracknell, a former Marine and military lawyer told USNI News on Friday. 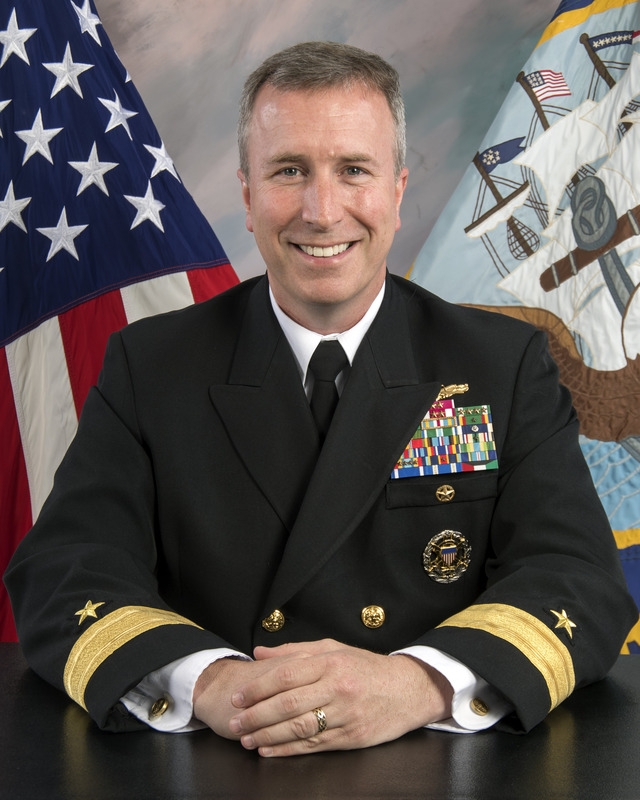 Fort, who was promoted to flag rank earlier this year, is currently serving as the commander of Navy Region Hawaii and Naval Surface Group Middle Pacific, according to the notice of his promotion in late May. Few details have emerged on the causes of the collision between Fitzgerald and Crystal as Navy investigators have kept initial findings close, even to leadership in the service. 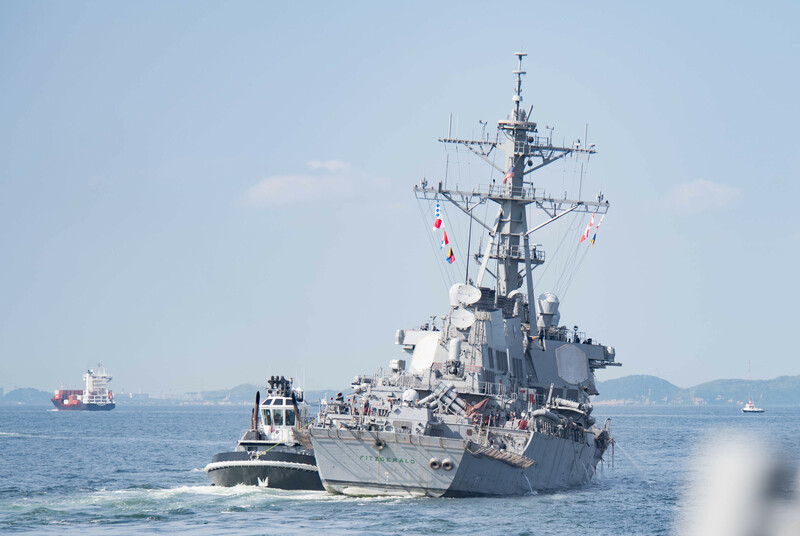 However, Japanese authorities have created an operational theory that the crew of Crystal may not have noticed the initial collision due to the ship being on autopilot at the time of impact, USNI News reported this week. The Navy investigation will determine the culpability of the crew and the commander of the ship, Cmdr. Bryce Benson, and provide recommendations for corrective action and punishment, if required. Benson was in his stateroom at the time of the collision, according to several different accounts of the incident that have emerged over the last several days. While Navy leadership has issued statements that no determinations of responsibility have been formed yet, similar incidents have almost always placed the bulk of the blame on the commander of the warship for any lapses of his or her crew.